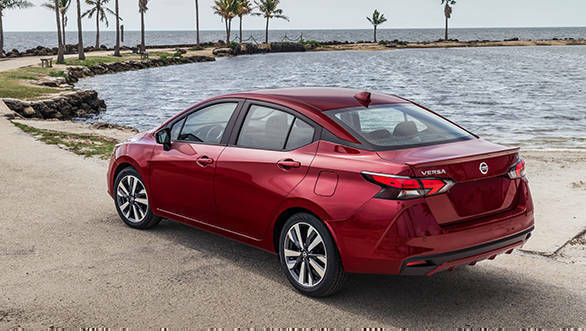 Nissan Versa has been unveiled internationally which translates to Nissan Sunny sedan in India. The Nissan Sunny is in its 11th generation and could be brought to India as the replacement for current Nissan Sunny. 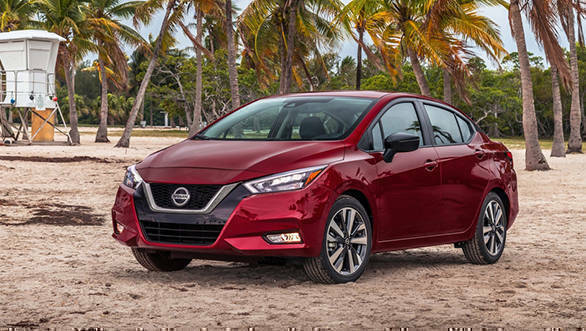 The styling on the upcoming car us mostly inspired by Nissan V-Motion design philosophy, which we see on the Nissan Altima as well. The fascia sports a new V-shaped grille with wraparound headlamps. The similar design philosophy is seen on the rear end of the car with wrap around taillamp which have sharp design elements integrated into them. The sedan sports a diffuser which is pained in the body colour. 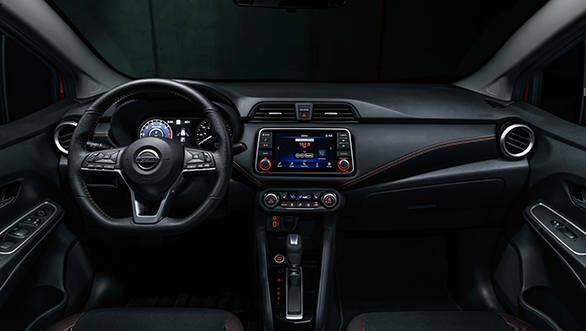 Inside, the new Nissan Sunny gets a dark theme for the cabin and the level of equipment is similar to its sibling, the Nissan Kicks. The instrument cluster has a twin pod layout and the steering wheel has a chunky design. Internationally, the Nissan Sunny gets a 1.6-litre petrol engine that is good enough for 123PS and 154Nm of torque. 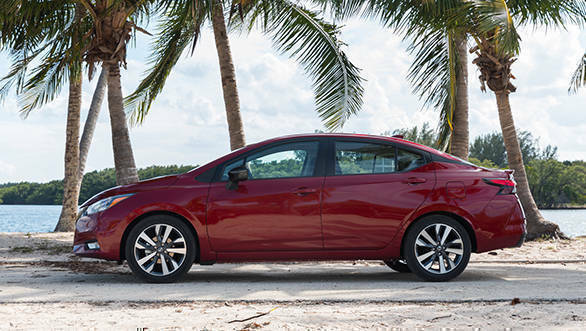 The engine comes with a choice of a five-speed manual or a CVT. This time around we can hope the manufacturers could offer the same engine adhering to the BSVI norms which will be regulated from April 2020. For the diesel variant, the Nissan Sunny could get the same 1.5-litre diesel engine, however with a different stater of tune. Currently, the Nissan Sunny has priced between Rs 6.99 lakh and Rs 9.33 lakh ex-showroom. The next generation Nissan Sunny will be priced Rs 75,000 above the current car across all variants. The car competes with the Hyundai Verna, Volkswagen Vento, Skoda Rapid and the Maruti Suzuki Ciaz.